Listening to a song by the pop star, Rihanna, she sings about pouring it up. Granted, she is speaking about dollar bills, strip clubs, and drinking, as she repeats the phrase, “pour it up, pour it up.” This got me thinking about the pouring vessel and it’s importance in the contemporary art world. Pour it Up seeks to explore the teapot and pouring vessel by sixteen ceramic artists, ranging from emerging, mid-career, and seasoned veterans in the field who are exploring the teapot, coffee pot, and pitcher forms. A teapot, by definition, is a vessel used for steeping tea leaves in boiling water and for serving the resulting infusion. It turns the simple and mundane act of brewing tea into an intimate and enjoyable experience for the user. Throughout the ages, teapots and pouring vessels have had a strong standing history in both function and decoration. The teapot has been an object of fascination to ceramic artist and tea drinkers for over five hundred plus years. Yixing teapots gave us perfection and function at the same time. Wedgwood teapots gave us fabulously indulgent and elegant teapot designs. For the beginning ceramic artist, the teapot allows for multiple skills to be utilized in one object. The advanced ceramic artist is able to refine form, function, and decoration. In the ceramics community, the teapot could be seen as the ultimate fetish object for both makers and collectors. Today, teapots come in just about any shape and size, color, and theme. There is everything from the simple and practical to highly decorated forms. The double-spouted teapots of Julia Galloway are elegant in their design of function but also give her a canvas for her delicate drawings of household/living environments. 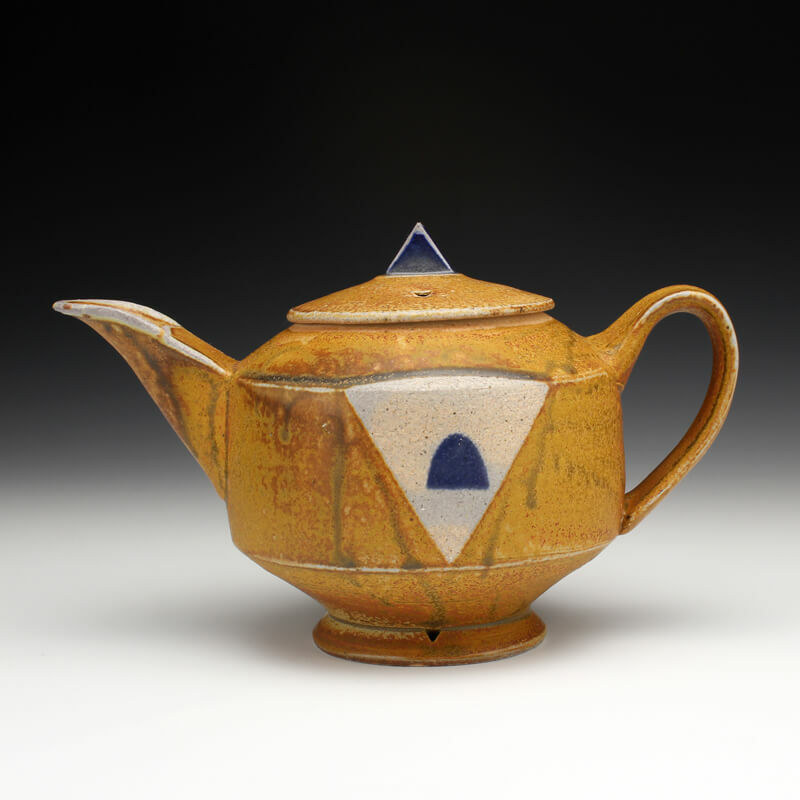 Similar to Julia, Megan Mitchell is concerned with the function of the teapot, but utilizes her printmaking background on the surface of the forms. The abstracted and whimsical teapots of Harris Deller allude to functionality. They have all the necessary parts of a teapot: body, lid, handle, and spout. This form allows him to have a conversation with repetition, pattern, and color. Artists Included: Julia Galloway, Bede Clarke, Josh DeWeese, Matt Long, Eva Kwong, Malcolm M. Smith, Harris Deller, A. Blair Clemo, Megan Mitchell, Lauren Smith, Brenda Lichman, Bill Wilkey, Doug Peltzman, Jeff Campana, Jeff Oestreich, and Candice Methe Hess.